In March 2013, it will be 50 years since Ford jump-started the GT40 program. The purposeful mid-engine sports coupé is the finest Anglo-American supercar of the last century, with four straight victories at the Le Mans 24-Hour endurance race between 1966-69. 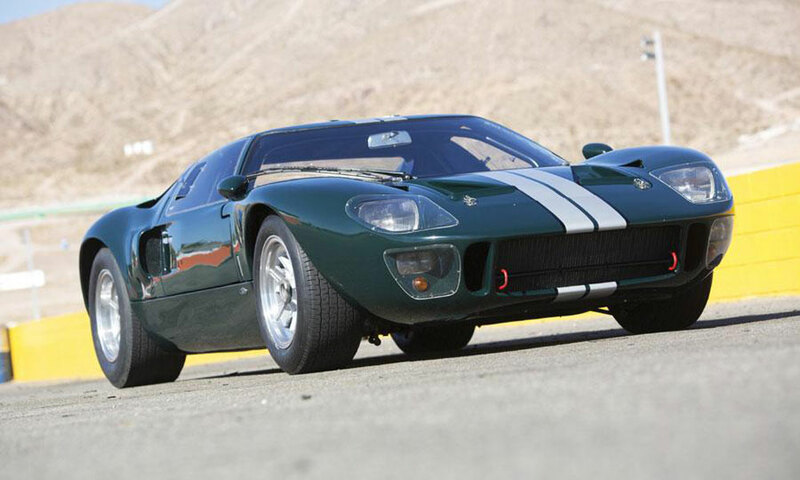 Now, one such historic race car, the 1965 Ford GT40 will be offered on sale at RM’s auction, on January 18th, 2013 in Phoenix, Arizona. This ultra-rare car, originally produced to win long-distance sports car races against Ferrari, is expected to sell at $3 million. 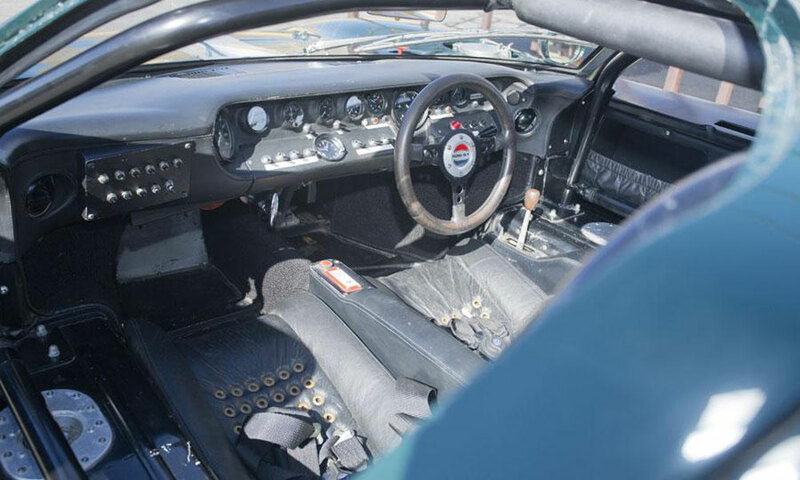 “The Ford GT40 holds an important place in American racing history as the car that gave Enzo a run for his money, repeatedly, and remains highly sought after in collector circles,” said Gord Duff, RM Auctions specialist. The first GT40 production road coupe delivered to the UK, with chassis No. 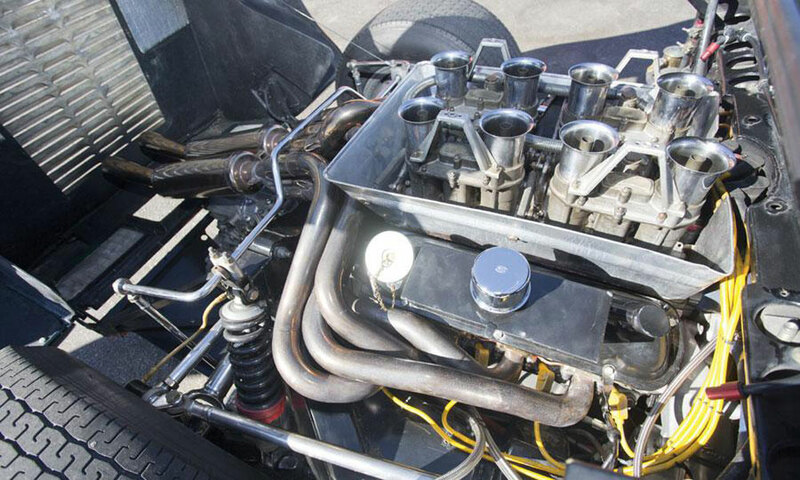 P/1034 was initially purchased by James Fielding, chairman of Heenan and Froude, the manufacturers of the dynamometers on which the GT40s were tested. However, this car, that was originaly purchased for private use and not racing, sympathetically restored, beautifully maintained, and finished in its original factory shade of Pine Green, although now with silver Le Mans stripes, comes with amenities such as a heated windshield, fender-mounted side view mirrors, dual fuel tanks and fuel gauges and mufflers for road use. 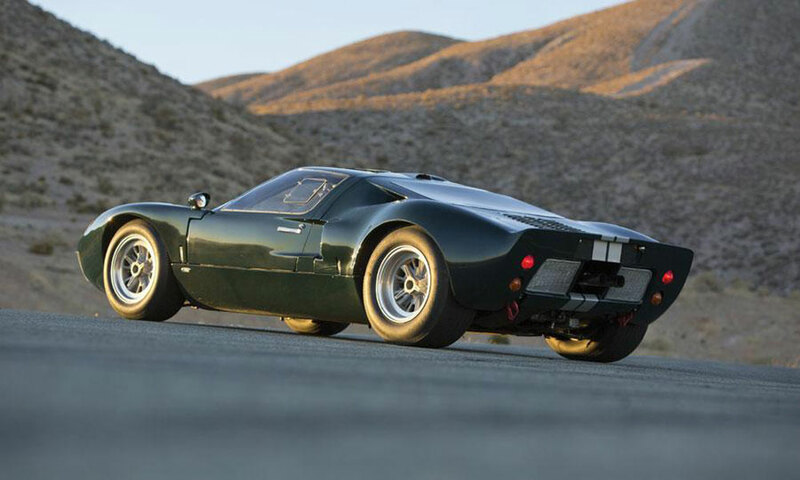 Powered by a 4.7-liter V-8 engine that was detuned to 335 horsepower, which made him one of the most powerful cars in 60’s, this 1965 Ford GT40 is the crown jewels for every truly car collector.